My mum was going to be working on her birthday this year, so we organised a family dinner the night before. Mat and I called mum a couple of days earlier to see what she’d like for dinner, so we could pick it up and bring it around to their place for everyone. She decided she wanted sushi, which was perfect. Mat was in the city that day getting his hair (and beard) cut and our favourite sushi place just happens to be in the city. The tricky part? My dad doesn’t eat sushi. So we asked him what he’d prefer, and he said Chinese. Great. Both my brother and his girlfriend would eat Chinese too. It’s always better hot and fresh from the restaurant if you ask me, so we arrived at mum and dad’s an hour before my brother was going to get there after work, to order the Chinese. It was a Monday, so I had to google a few places to find a Chinese restaurant nearby that was actually open. I found a couple, and went back and forth with my dad about which one he preferred, and got his order ready. I called and the voice of a young teenager answered. As he answered a little something in me flickered, but I quickly dismissed it. He proceeded to take me order, repeated it back to me (as any good Chinese restaurant does) and I then had a pretty strong feeling to check I had the correct restaurant. It was weird. I wouldn’t normally do that! Turns out I didn’t have the right restaurant. In all the back and forth finding a restaurant that was open I had a bunch of google searches happening, and then just hit ‘call’ once we’d decided, without really looking at which one was showing on google at the time. You see, I’ve been to both Chinese restaurants on a number of occasions. 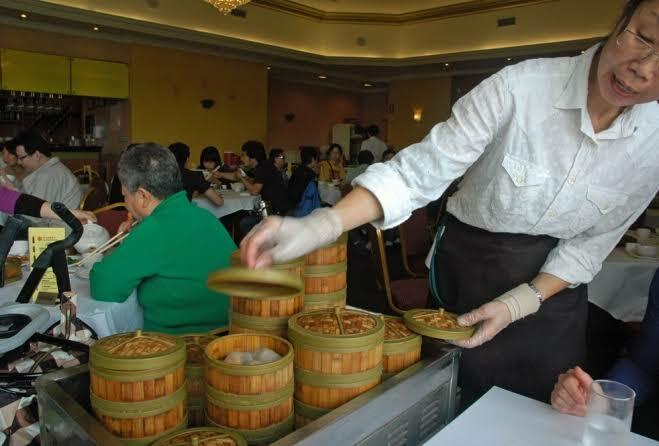 Aspley Oriental, which is where I THOUGHT I was ordering from, hasn’t ever had Caucasian staff in all the times that I’ve been there (they do great yum cha). The Chinese restaurant at Arana Hills hires lovely young teens to work nights and weekends, which is why that little something that flickered in me when he first answered the phone. They are both about 20mins from mum and dad’s, but 20mins in DIFFERENT directions. Because I ignored it, my intuition came back again, stronger. Eventually, I phoned the correct restaurant and placed the order, but not until I got yet another reminder to TRUST MY INTUITION! I don’t have a picture of the Chinese, but here’s the sushi we had.